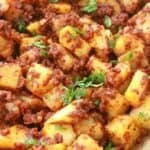 Watch the Video or follow the step-by-step picture to make this incredibly yummy dish. 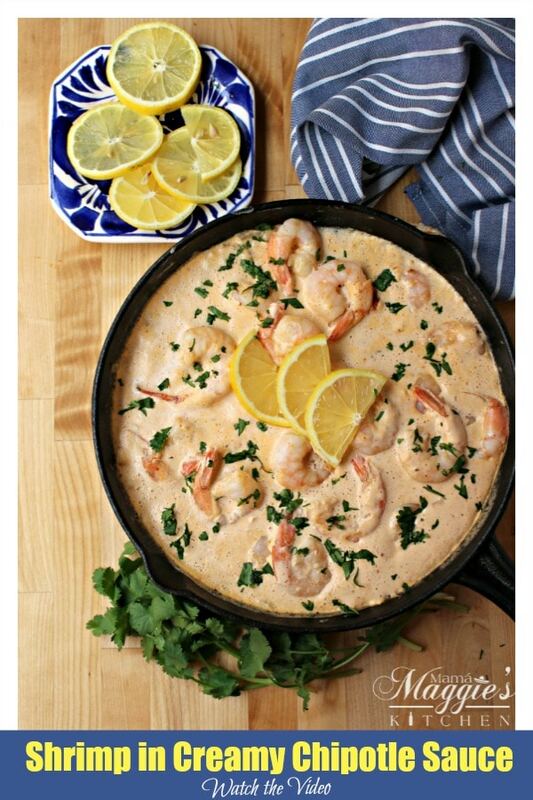 I can’t make enough Mexican Shrimp recipes. People ask me for them all the time. They are seriously the perfect protein. Low in calories. Low in carbohydrates. And most recipes are done and ready in no time. These are the only ingredients you need to make this dish. 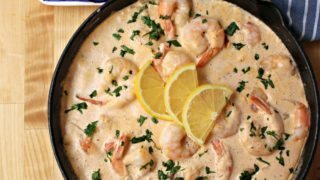 Love easy shrimp recipes! You probably already have these ingredients sitting in your fridge right now. It is the perfect recipe for busy weeknight because it comes together in a flash. Camarones en Crema Chipotle starts with large cleaned shrimp. Remove them from the shells. Cut into the long curved back. Remove the poop track. It’s a long, dark vein. Do this for all the shrimp. Yes, poop track is exactly what you think. This is shrimp poop. No one wants to eat poop. 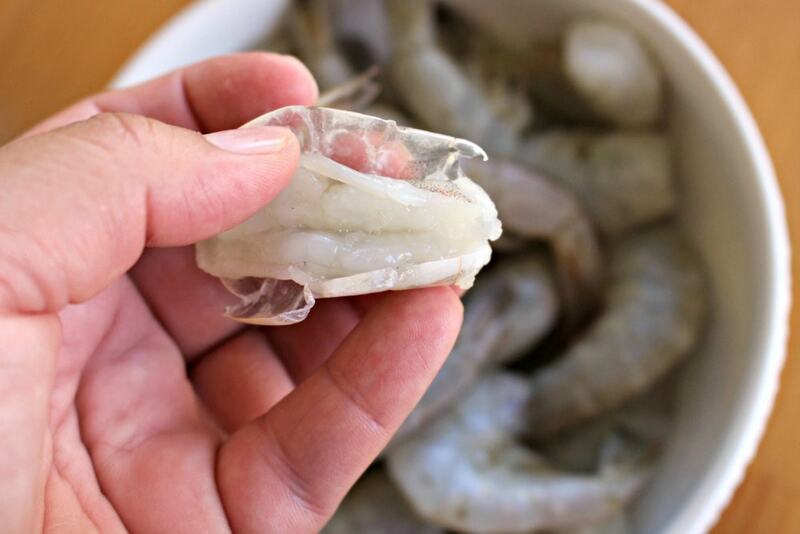 Once they are ready, place the shrimp in the fridge until you are ready to use. Shrimp can spoil quickly. 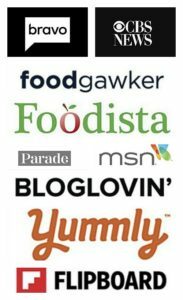 You want to buy them and use them right away. 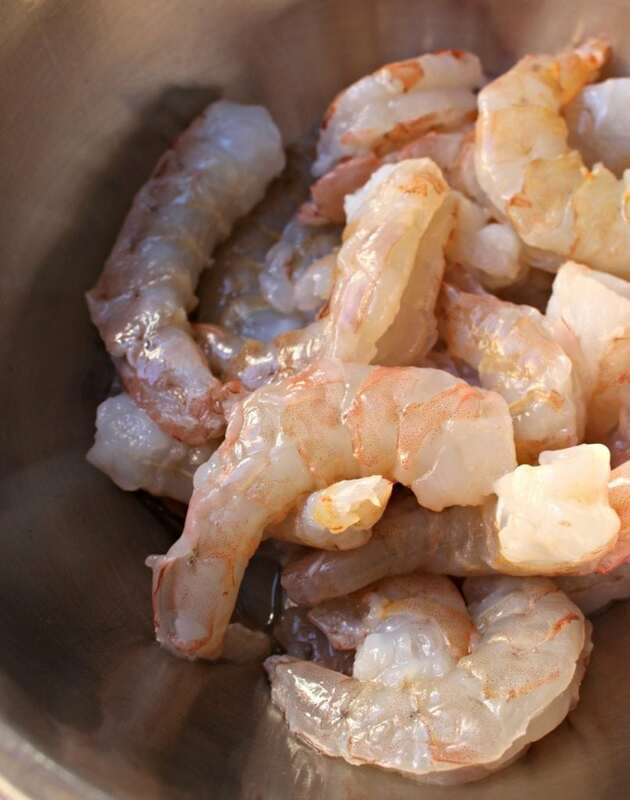 For every pound of extra jumbo shrimp, you get about 16-20 shrimp. You can leave the tail on or off. However, it is easier with the tail off, or you’ll get your fingers full of cream. The best thing to do is to freeze them right away. Even if you just brought them home. They thaw easily. 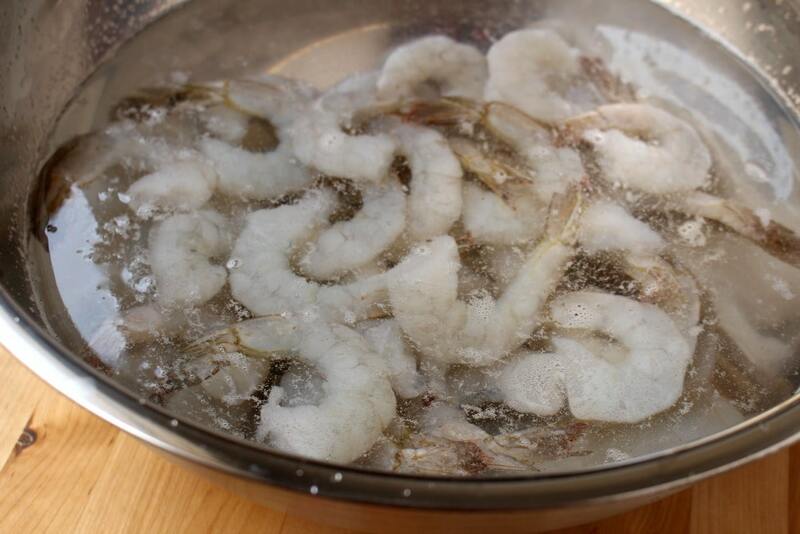 To thaw shrimp, just place them in a water for about 20 minutes. If they are still not defrosted, let them sit in water longer. Or, you can also drain the water and add more water. Then let them sit again until fully thawed. 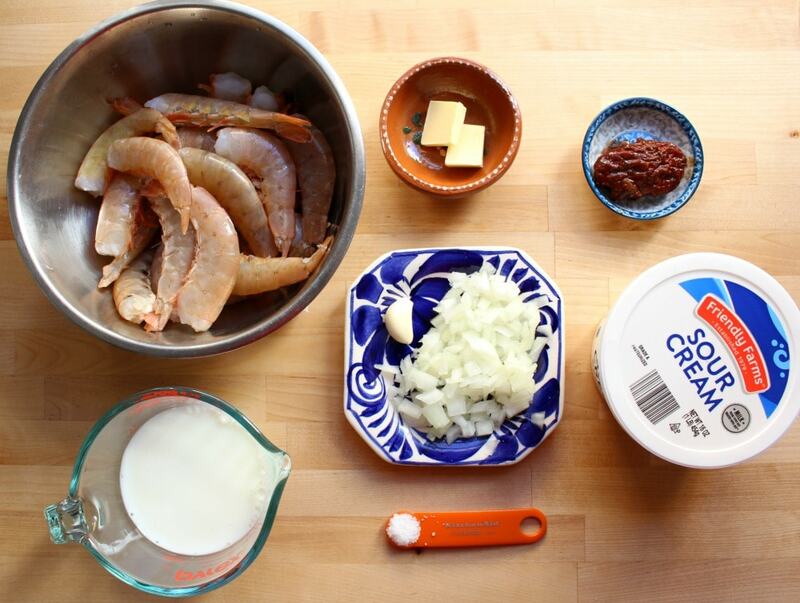 Now time to work on the cream sauce for this scrumptious Mexican shrimp recipe. This is a milk. 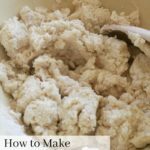 You can also use evaporated milk if you prefer. Milk (or just about any dairy product) will tame the heat to overly spicy dishes. Remember that for next time you’re eating something that you can’t handle. Don’t reach for the water. Reach for the milk. Chipotle is a dried and smoked jalapeño. In Mexico, you can find the dried chipotle version very easily. In the US, they are a little harder to find. 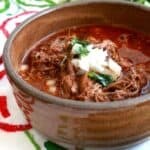 Luckily, we need the canned chipotle in adobo sauce for this recipe for Camarones al Chipotle. That seems to be more easily available. I’ve even found them in Europe. Let me tell you, that’s a big deal. My German-American husband sometimes toys with the idea of moving back to Germany. My worry is not having my Mexican food. If you can find a can of chipotle in adobo you can make several dishes like Chicken Tinga Tostadas or Chipotle Salsa. To a blender, add the chipotle. If you’re not into spice, use only half the pepper. It will still give you the smoky chipotle flavor without the heat. Sour cream also goes into the blender. 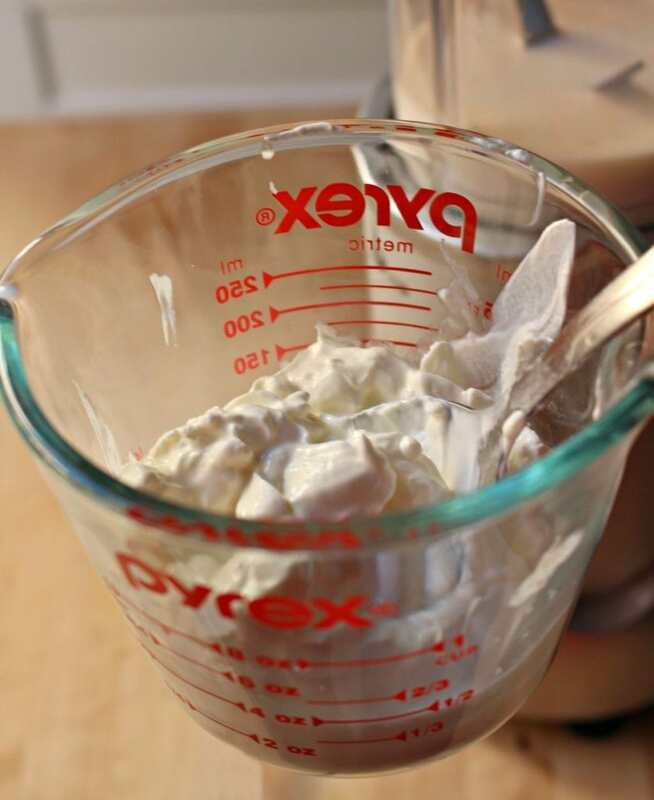 You can use cream cheese for a thicker consistency, but you will need to add a little more milk to get the blender going. Salt is a must in any dish. My advice is always to start small. You can always add salt, but you can’t take it out. 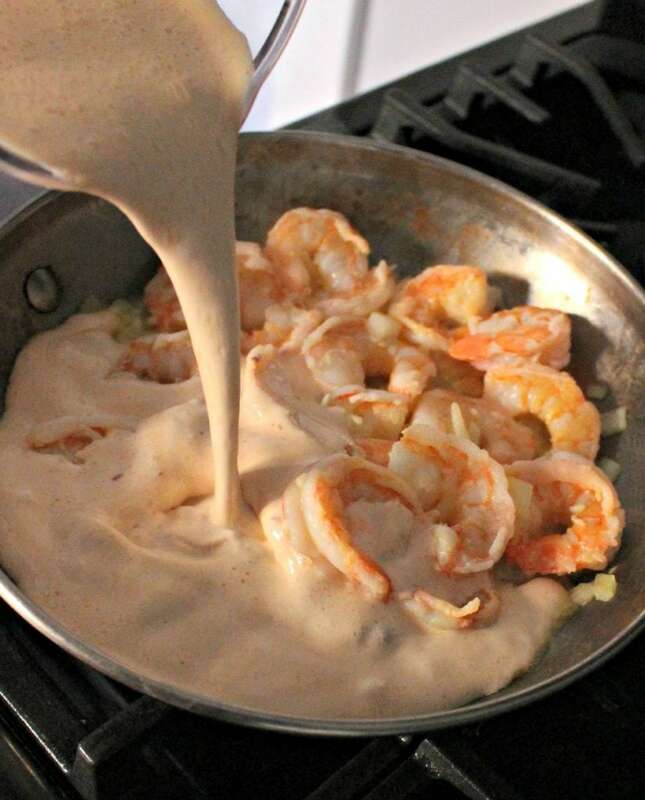 Before adding the chipotle cream sauce to the skillet, taste it for salt and heat level. For a sauce that’s too spicy, add more milk. Or maybe add more salt, if needed. In a large skillet, add the butter. 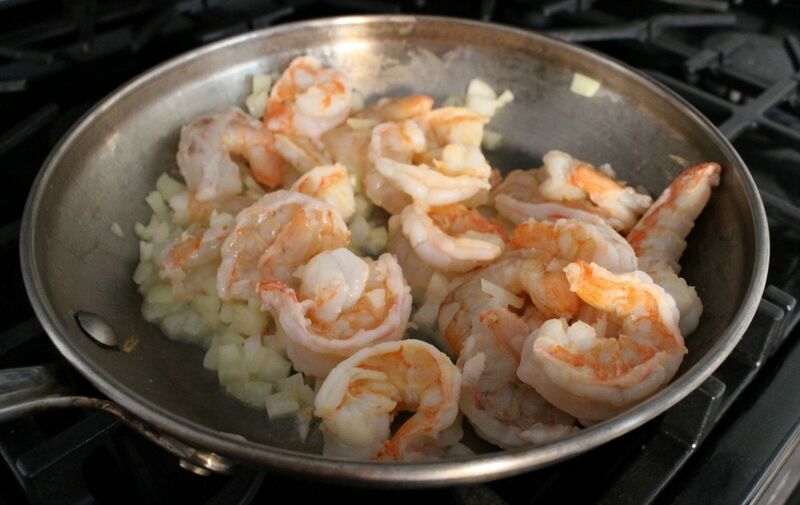 You can also use olive oil, but I love shrimp cooked in butter. 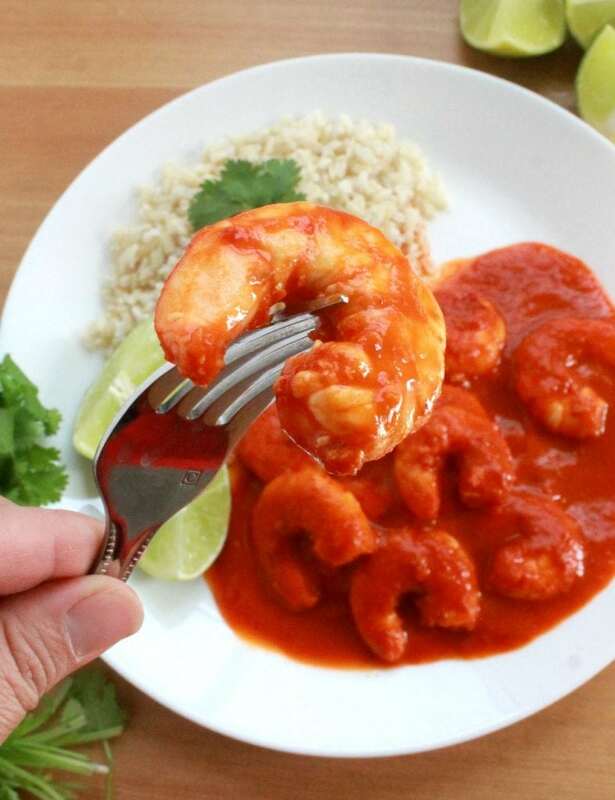 Another option is to coconut oil, but it will give some of the coconut flavor to your shrimp. 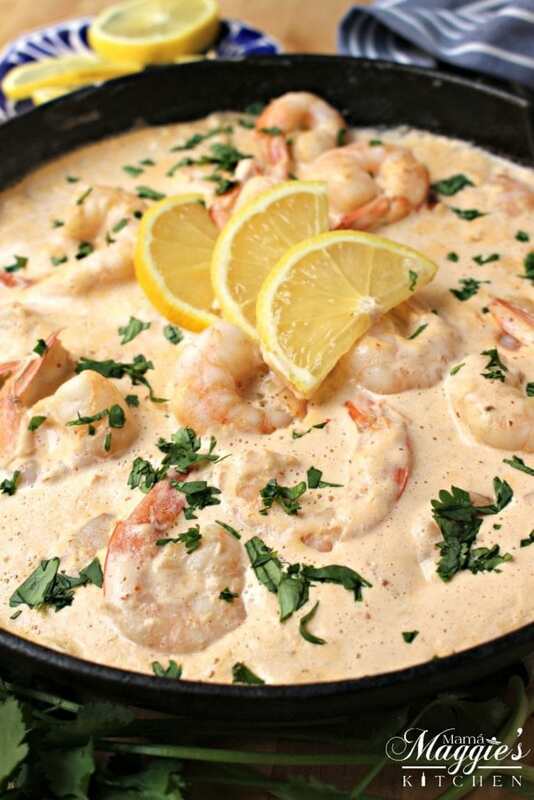 Add the shrimp and cook for a 4-5 minutes. Please do not overcook the shrimp. No one likes rubbery shrimp. Once they turn pink, immediately go to the next step. Camarones en Crema Chipotle will come together fast. I highly suggest to have all the ingredients ready to go. Onion and garlic then go into the pan. I wouldn’t go too far away. Garlic tends to burn easily. This will only take 1 minute, or until the onion is translucent. That’s why we start with the chipotle cream sauce first. So it can be ready when we need it. Next up is to add the chipotle cream sauce. Let this cook for another minute, and the Camarones en Crema Chipotle are ready. Camarones en Crema Chipotle is an ideal dish for those nights that you just don’t want to cook, but you have to, or your family will order greasy take out… UGH! I served it with rice and broccoli. 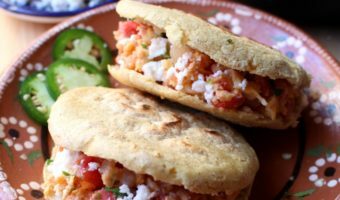 You can also add green peas, corn, or calabacitas. The veggies and the rice soak up the sauce. Mmmm! How long will Camarones en Crema Chipotle last? In the refrigerator, this dish will last 3-4 days. I do not recommend putting this dish in the freezer because of the cream sauce. 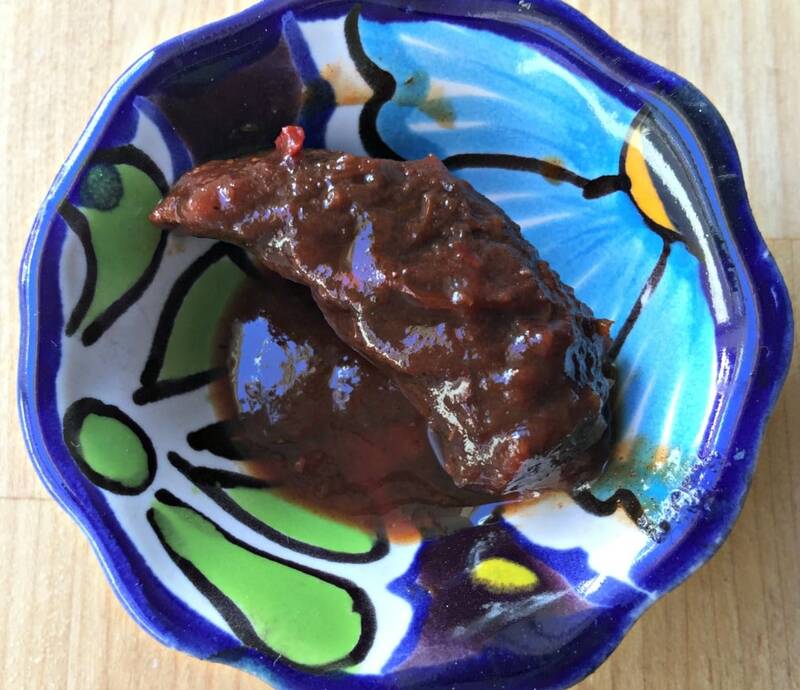 In a pinch, the freezer might be ok, but just know that your sauce will be watery when reheated. The other thing you can do is cook the shrimp, onions, and garlic. Freeze it. Then when you’re ready, defrost and make the sauce that day. Add the leftovers in a skillet and cook for 5 minutes on medium heat, or until fully heated. You can also reheat in a microwave in a container for 2 1/2 minutes. Stir and enjoy. 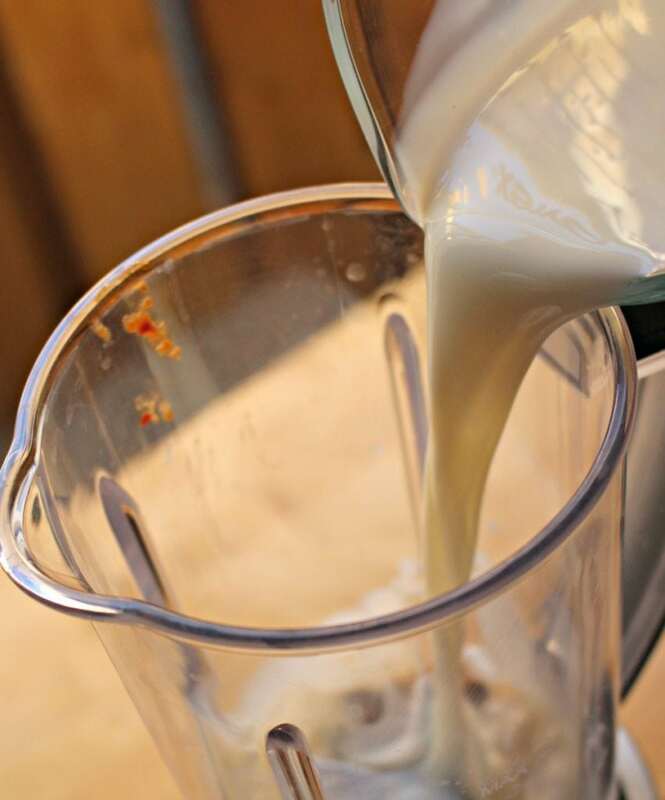 To a blender, add the chipotle pepper, milk, sour cream, and salt. Cook for 3-4 minutes until they turn pink. Cook for 1 minute, or until the onion is translucent. 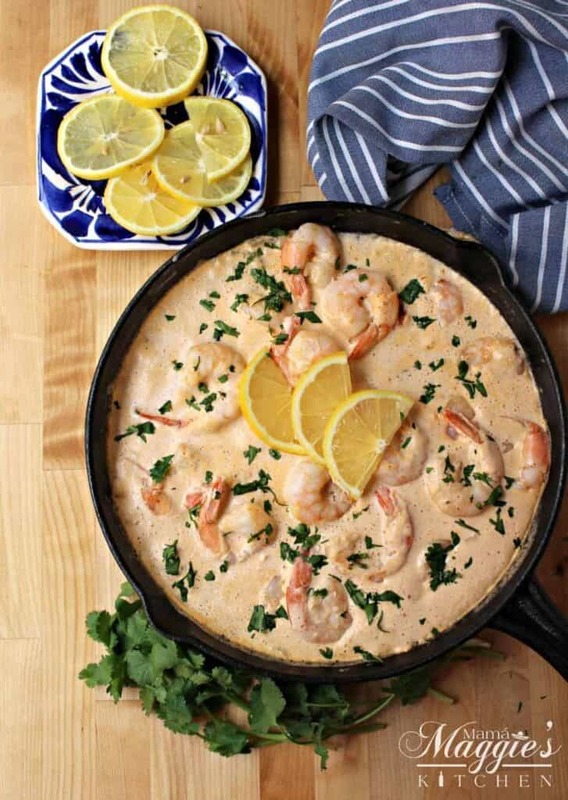 Add the chipotle cream sauce to the skillet. 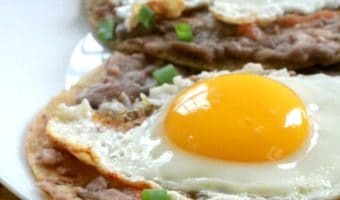 You can swap out the sour cream for cream cheese for a thicker, richer consistency. However, you will need to add more milk to the blender in order to blend completely.